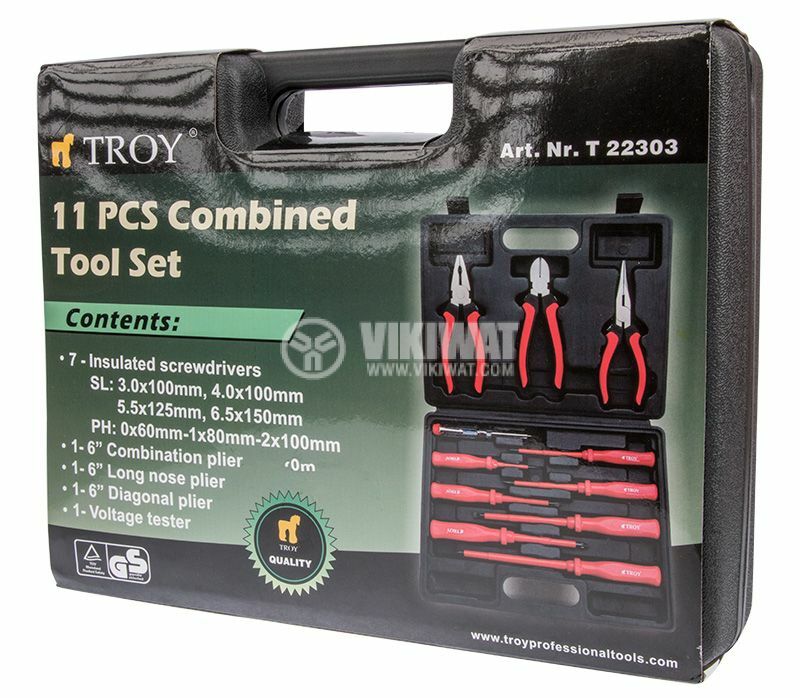 Compact tool set T 22303 with pliers and screwdrivers. 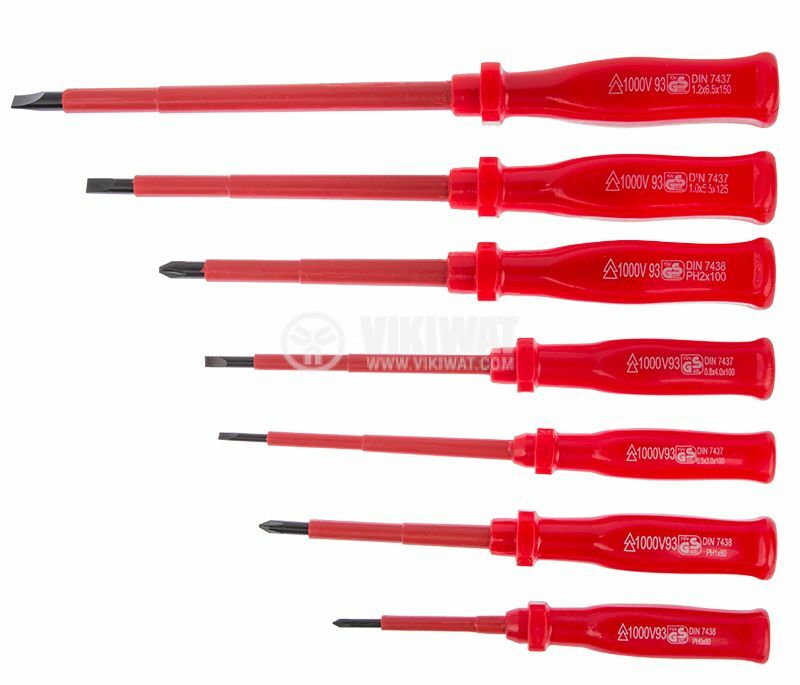 It contains 11 pcs placed in comfortable tool case. List Price 31.90лв. VAT Incl. 30.30лв. VAT Incl. 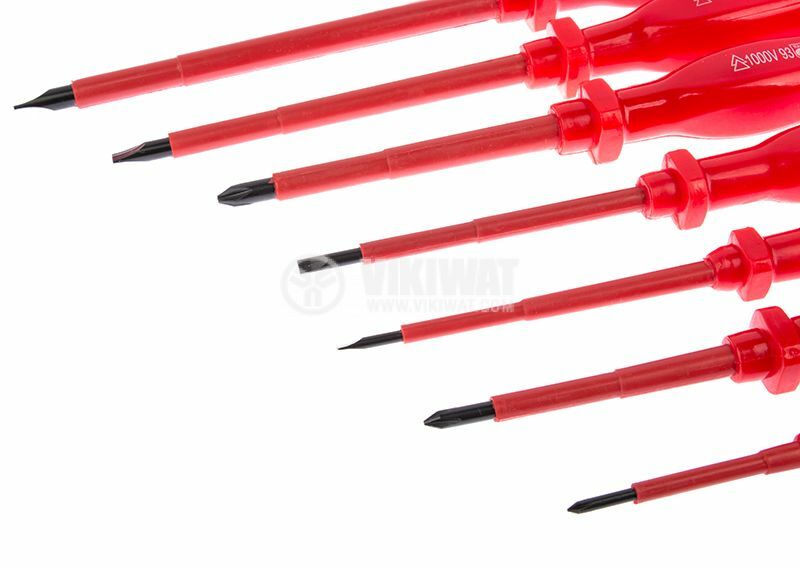 Thanks to its small size and weight, the tool set is easy to carry and can be used for home repairs, as well as for professional application. 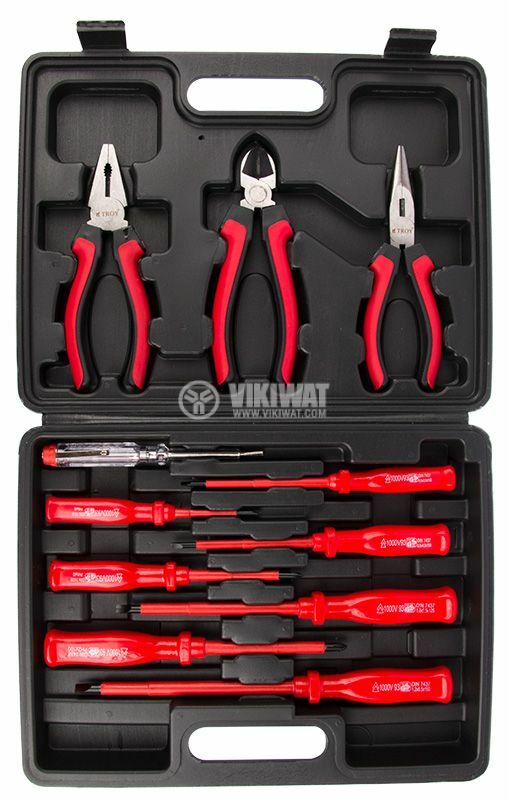 The tool set includes screwdrivers and pliers that everyone need for handling a repair. Ph 6 mm and length 195 mm. Sl 6.5 mm and length 240 mm. 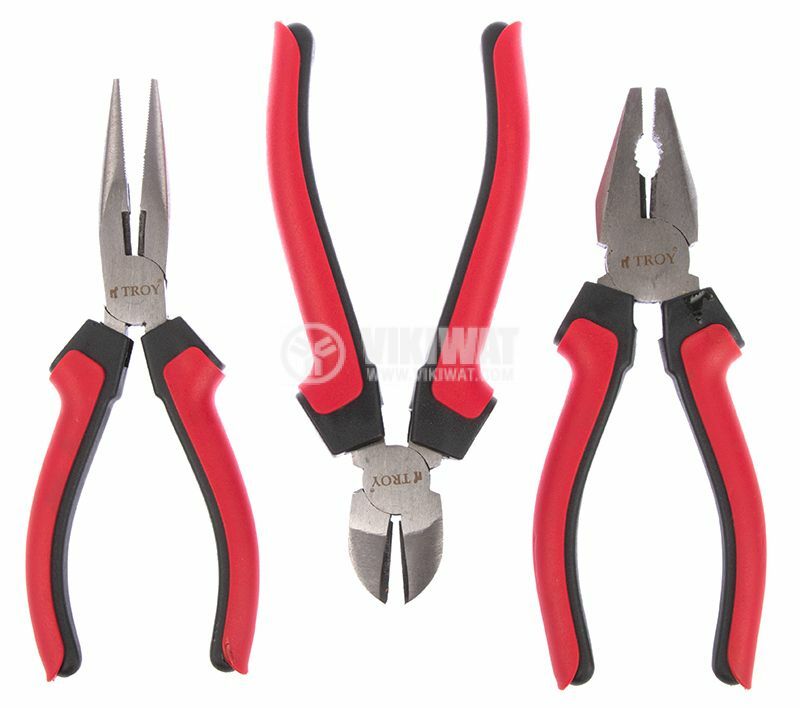 flat pliers - with jaws 48 mm and length 160 mm.